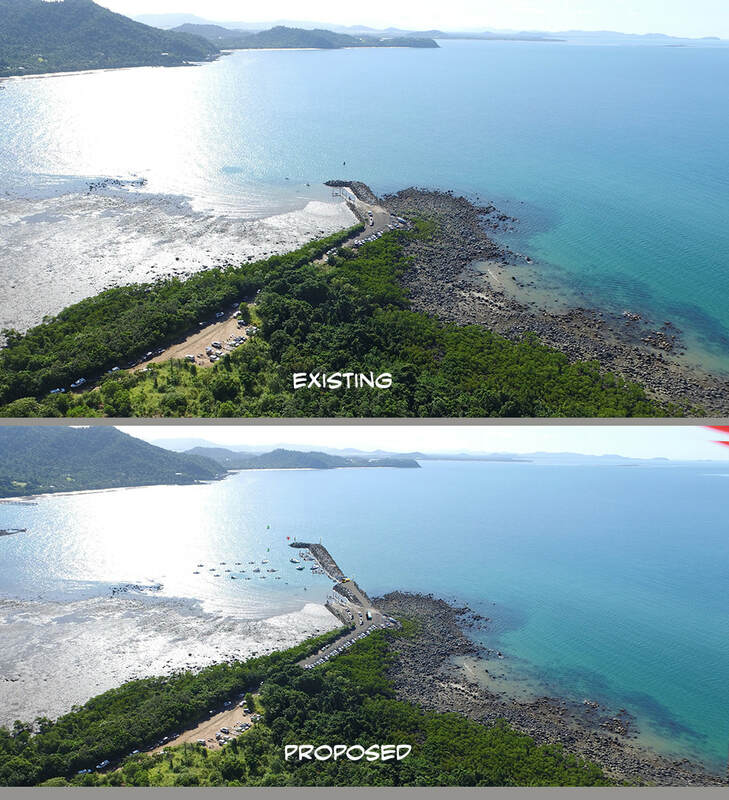 In essence, if this goes ahead there is no doubt that it will be a large-ferry port and a marina - suiting the prospect of private development on Dunk Island. And Bob Katter is on record 2016 saying "we've been waiting for this for 31 years!" Remember it rains and blows at Mission Beach for about 7 months. ​This development is supposedly for 5 months of the year. GBRMPA has not assessed the risk of vessels being cast ashore in strong winds; nor of the project becoming a large-ferry servicing new private development on Dunk Island; nor the risk of insurance requirements that the enclosure and pens be reinforced to standard. The existing local tourism operators were given no opportunity to provide input to the advice documents that determined the Development Plan. They were not invited to attend the Information Session or take part in the Reference Group meetings. Their needs have not been considered during the 9 - 12 month expected construction period. Neither has access for the recreational users. As a result, the economic cost to the local community has been estimated to be as high as the unsubstantiated claimed economic benefits. By including the jetty, larger commercial vessels would be separated from smaller vessels reducing conflict between the two. Feasible alternatives and options were aggressively discounted by Reference Group marina supporters. No mention of alternative options were recorded in the outcome reports.